US electric carmaker Tesla has said it will fall short of its annual shipment targets, sparking worries about its production capabilities. Tesla shipped 14,370 cars in the second quarter, missing its target of 17,000. The missed production goals come at a crucial time for Tesla. The company is still in the headlines after the driver of a Tesla car using self-driving technology died in Florida last month after colliding with a lorry. Over the past three months, Tesla shares have fallen by 13%. 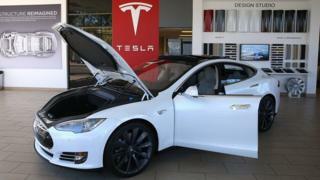 Tesla said it still expected to deliver about 50,000 cars during the second half of the year. With the first two quarters lagging behind target though, the company would still fall short of its full-year target of 80,000 to 90,000 cars over the entire year. Tesla Motors has been one of the pioneers in pushing for electric, gasoline-free vehicles, but recent developments have led to doubts among investors over the company's prospects. US safety regulators have announced an investigation into last month's accident. In a statement, Tesla said it appeared the Model S car was unable to recognise "the white side of the tractor trailer against a brightly lit sky" that had driven across the car's path. In May, Tesla founder and chief executive Elon Musk drew criticism for announcing plans to buy solar panel maker SolarCity, a separate company that he had founded and for which he serves as chairman.